It might all be ice creams and emoticoins for slots giants Microgaming this summer, but things are about to turn nasty as they prepare for the release of a new video slot game based on the classic slasher horror movie, Halloween™. 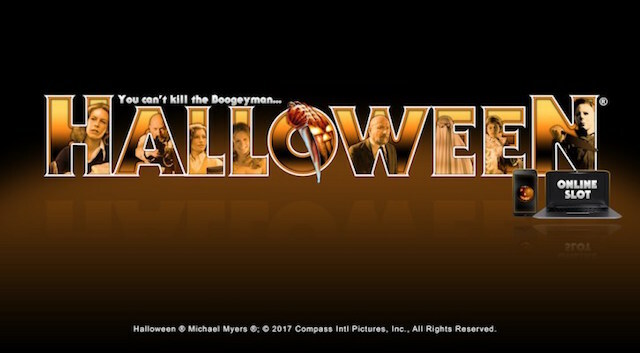 That’s right, Michael Myers is making yet another comeback, this time no doubt he’ll be going wild across 5 reels and scattering body parts as he does. Let’s just hope he doles out a few Free Spins before he’s done. Isle of Man-based Microgaming have signed an agreement to license the Halloween™ brand for the game, which is already in development and scheduled for release later in 2017. The original Halloween™ film came out in 1978 and starred Jamie Lee Curtis in her debut role on the big screen. It tells the story of Michael Myers, a serial killer who returns to the fictional Mid-Western town of Haddonfield, Illinios, after escaping a psychiatric ward 15 years after being locked up for killing his own sister. Myers then goes on a killing spree before seemingly being shot and killed, but coming back to life to haunt his victims for another 10 follow-up flims! The Halloween movie has been hugely influential in modern culture and inspired a whole raft of similar slasher films. It cost just $300,000 to make and has grossed $70 million worldwide. Let’s hope some of that comes back in jackpot payouts! In all seriousness, this is a truly iconic movie that has won numerous accolades, including listings in the Empire Magazine 500 greatest films of all time (2008) and Total Film 100 Greatest Movies of All Time (2010). And we’re backing Microgaming to turn this classic horror into a first-class online video slot. After all, they have form with Jurassic Park, Bridesmaids and Terminator 2. If anyone can, MG can. A licensing agreement has already been signed with Compass International Pictures, and the slot is due for release in late 2017. “Halloween is a true classic and set the standard for modern horror films. It was immeasurably influential in the slasher genre of movies, so it is great to be working with such an iconic and respected brand.